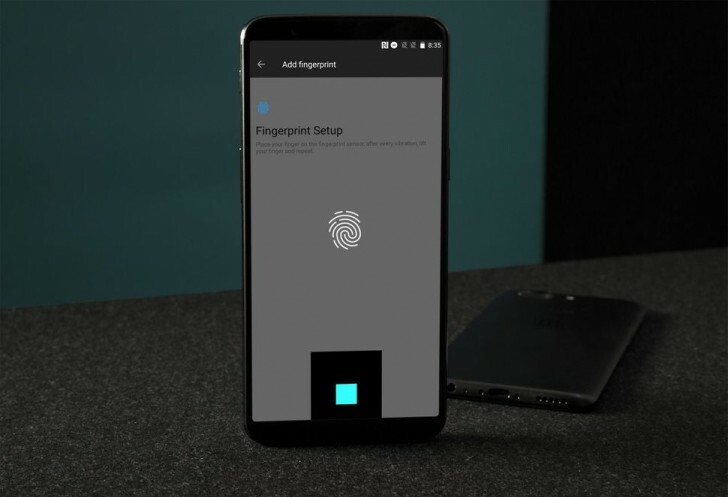 OnePlus has officially confirmed a couple of things about the upcoming OnePlus 6T – that it will have an in-display fingerprint reader and that it will lack a 3.5mm headphone jack. It turns out these two are connected. In a lengthy interview co-founder and CEO Pete Lau says that removing the 3.5mm jack was necessary in order to free up room for the in-display FP reader (which the company calls Screen Unlock). This echoes Apple’s justification of removing the jack to make room for the Taptic Engine. Apple lead the way to jack-less phones, but Android makers were eager to follow (including Google). Lau says that this was one of the most difficult decisions for the OnePlus team to make, himself included (he holds the position of chief product manager). But he believes that once you try Screen Unlock for yourself, you’ll forget your grievances about the jack. The in-display FP reader was originally planned for the OnePlus 5T, but the tech back then didn’t live up to expectations. It took until now for it to mature. Such readers live behind the screen, so they add thickness to the phone – about 0.45mm. Another thing that makes phones thicker (not to mention the heat it generates) is wireless charging. So, no, the OnePlus 6T will not have wireless charging. Lau says that once fast wireless charging is possible without generating heat, OnePlus will reconsider. Until then users will rely on the beloved Dash charge. Another thing that the in-display FP reader will add is cost. There’s no official quote yet, but expect an extra $20 to the bill for the 6T. Cost concerns are exactly why Lau isn’t a fan of waterproofing – he considers it unreasonable to charge all users “say, $30 more” for the few of them who will go swimming with their phone. Does the in-display fingerprint reader really take up so much room that the 3.5mm headphone jack had to be dropped? That’s not the case with the Oppo R17 (non-Pro) and even the OnePlus 5T prototype pictured above. So, we don’t buy this explanation. Water resistance that big hole is just bad for water resistance no matter how much defense put around or whathewer protection when you get the water inside the jack hole phone is dead.